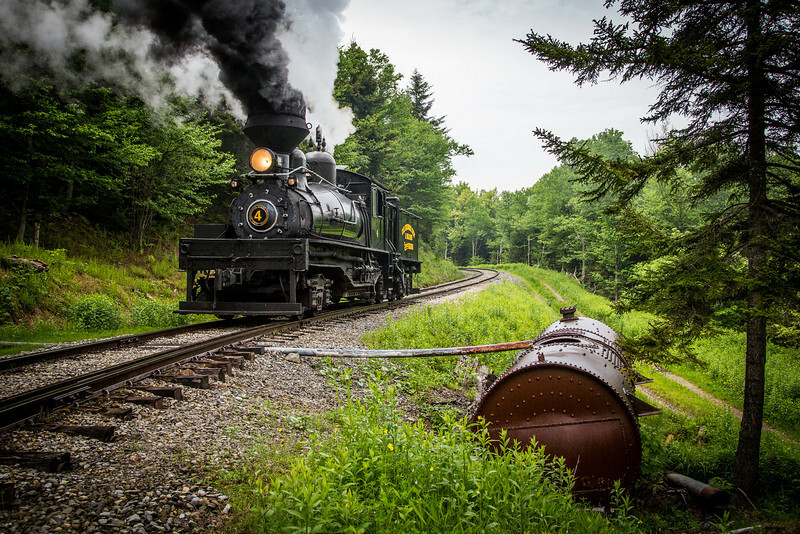 On Saturday, June 15th, the Cass Scenic Railroad celebrated the 50th Anniversary of being a West Virginia State Park. Shay #4 pushed the very first trip up the mountain on June 15th, 1963 and 50 years later to the hour, the locomotive did the same honors, with help from Shay #5 as well. Of note was the special Cass, Greenbrier, Cheat & Bald Knob Scenic Railroad lettering which adorned the water tank of the #4 along with silver running board striping. This was the very first scheme of the railroad and only worn during a National Railroad Historical Society trip in 1961, two years before the railroad would open officially.